Chesapeake Bible College & Seminary is 501(c)(3) that provides a ministry of Christian Education through home correspondence studies, online studies and class room studies on the Bible as well as Christian Counseling, Religious Education, Theology, Christian Living and Ministry. 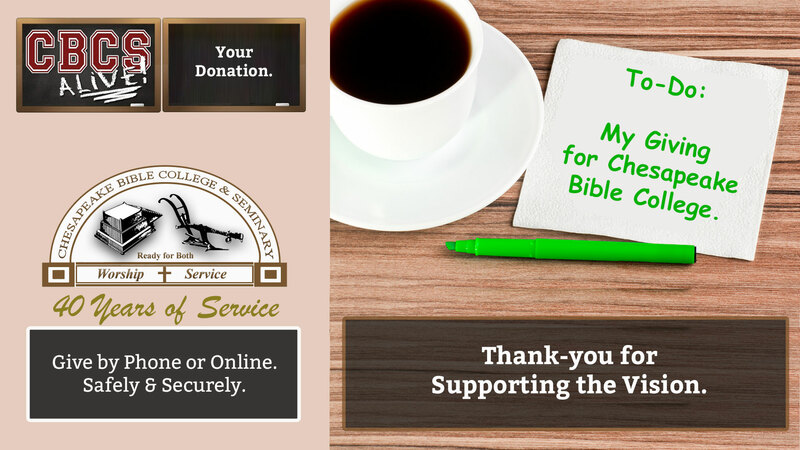 We ask you to consider a gift to Chesapeake Bible College & Seminary, as a registered 501(c)(3) Charitable Organization. The support we receive from individuals each year helps us fulfill our Mission.